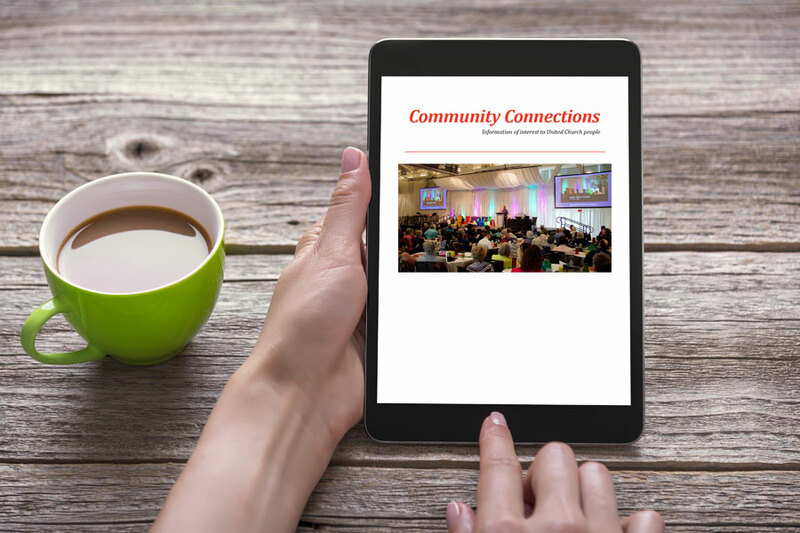 Pacific Mountain Region distributes an weekly e-newsletter to keep United Church people informed and up to date with our church community called Community Connections. The Community Connections e-newsletter is organized to reflect the mission of the PMR. Each week you’ll hear what folks are up to in serving and building Healthy Congregations and Faith Ministries, discover offerings for deepening and inspired Effective Leadership, be called to on-the-ground Faithful Public Witness and education, receive invitations for spiritual rest and renewal, and spread the word of opportunity for employment and service within the Region, and with the National Church. To make your own contribution to Community Connections, please follow the directions below. Be inspired and informed! Subscribe to the e-newsletter here. Contribute your news to Community Connections! The Deadline for Community Connections Contributions is every Tuesday at 12 noon. Event Description (30 words or less) Include a compelling reason for the reader to click your links for more info. *or announcement, invitation, campaign, course, concert, etc. Submission deadline is every Tuesday at 12noon. The above information must be received before your submission can be included in Community Connections. The Pacific Mountain Region retains the right to edit all submissions for brevity and clarity, and to remove or not include submissions. Events & Opportunities will be listed in Community Connections 30 days prior to event date. Campaigns and Announcements will be listed immediately in Community Connections for two weeks, then removed. You may re-submit your Campaign and Announcements as many times as you like.